In his ground-breaking book, The Purpose Driven Church (1995), Rick Warren recounts a study he made a few years ago of the 100 largest churches in the United States. He writes: “Although I discovered that large, growing churches differ widely in strategy, structure, and style, there were some common denominators. My study confirmed what I already knew . 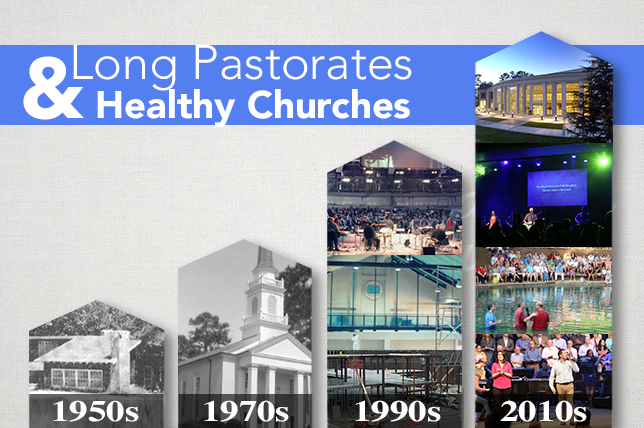 . . : Healthy, large churches are led by pastors who have been there a long time. I found dozens of examples. A long pastorate does not guarantee a church will grow, but changing pastors every few years guarantees a church won’t grow” (p. 31). Recognizing these principles, about seventeen years ago our church leaders began to encourage me to take a regular summer study break. The purpose is to take time to listen more intently for the Father’s direction through times of fasting, prayer, and study of Scripture; to refuel and recharge—spiritually, emotionally, and physically; to learn from other churches and leaders; and to dream and plan for the future of our church. In a couple of months, Beverly and I will begin our twenty-eighth year of ministry at Ingleside. We are deeply grateful for the Lord’s favor over the past twenty-seven years, and we are eager to follow the Lord’s leading into the next chapter with this church family. And, as always, I’m convinced that the best is yet to come!